World over, education has evolved greatly in the last few decades – into the technology – characterised by the emergence and introduction of several innovative technological components to enhance effective teaching and learning. From schools in suburbs and upmarket areas to government schools in shanty communities and the country side, school going children delight on adequate access to the internet, computers and their various applications. Such a sight dawns immense disbelief and memories in me taking me back to my high school days. Well, my school Ka-Boyce High School, with a population of just over 500, shared thirty computers and each class would be allocated time slots to utilise the technology. Time with the computers was limited. Sometimes pupils would have to share a single computer. As new as it was to us, we all wanted to touch this new gadget so the excitement over weighed the inconvenience of sharing. Ten years later, now I can only imagine the vast archived useful online material that we couldn’t even tap into (just a fraction of a percent) since no school had a computer with internet access nor just a basic local area network (intranet). Not only was access to information a nightmare but storage was just a non-starter as memory sticks were just basically off limits from a school going pupil due to the price tag. Hmmm…but wait and pause for a moment, what about just googling my entire homework then email it to my class teacher after saving a back up copy on the school’s server? Well that’s how simple it can be now, right? Well I had to page through several books at the library to make a sensible submission. The facts are on the table; education would have been relatively easier to cope with if such technologies existed in my time. Further still, even outside the class at home, we only had our parents and siblings as reference for our homeworks – did I forget to mention how unreliable they are? On contrast, wouldn’t your Whatsapp save you so much time if you needed first hand references? I’m pretty much certain that at least one person on my Whatsapp Favourites attended King Mswati’s coronation, so yes details of such an event would only a text away. Lord I just wish I had access and knowledge to these many scholarly discussion forums for in depth understanding and even to cross-check my the following day’s timetable. Notably, since computers were so alien to a fair population of my fellows, we were all into fiddling around to execute new functions here and there but however we only succeeded in turn competing on typing speeds and Solitaire. However, I do remember one student in my class though who won a scholarship to learn at the best school in Swaziland – Waterford KaMhlaba – for being tech savvy. What can I say? I didn’t even comprehend what such an award was about. Was he any better than me in PC gaming? No. The classroom’s geek would bypass restricted applications’ security while we could only open, close, minimise and type with Microsoft Office applications and Solitaire was inevitable. Did I miss pressing the power button to start up the computer? In a nutshell, technology has become part of our daily lives and in my school days’ era, the only challenge was mainly gaining access to readily available information but then, we pulled through and made it and it was enough technology to survive to graduation. 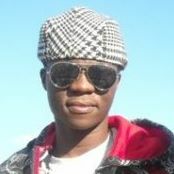 I’m Lungelo from Swaziland, a final year student in Software Engineering with Multimedia in Botswana. I enjoy indoors especially with music, wrestling, politics and gaming.